ABLE Logistics Park (ALP) offers a 497.5ha (1,229.5 acres) site with full planning permission in place for the creation of extensive warehousing (1,700,000m² ), external storage and transportation depots. The development of ALP will complement AMEP’s tenants activities, potentially enabling a just in time approach minimising inventories, sustaining and maximising efficiencies and workflow concepts. ALP will also offer a purpose built Business Park providing office facilities for engineers, consultants, OEMs, supply chain companies, developers and associated businesses. ALP also offers the perfect proposition for port-centric logistics operations across other sectors. The areas high density of flexible port terminals combined with its already strong supply chain network means cargo can be unloaded, stored and distributed from ALP and be speedily dispatched to its end destination. The Port has direct rail access and is connected to more major motorways than any other UK region (M18, M1, M62, M180) meaning that customers can access key conurbations more quickly. 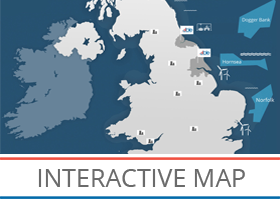 With a population of 1.8m within a 60 minute drive and the ability to connect with areas such as Sheffield, Leeds, Hull, Newcastle, Manchester and the Midlands, AHP offers a prime location central to the UK.